Been a while since i posted here and what better way to get back at it than to update one of my starting posts and for which i still get a lot of comments ; Driving from Delhi to Shimla. Have had the fortune of being able to make 2 drives up in the last 2 months , primarily thanks to my interest in driving a new car which i got 🙂 , and happy to report that it’s still a comfortable drive. In both cases one left at about 6:30 AM in the morning , which is typically 1.5 hours later than my usual departure time , but i had passengers and timings had to be adjusted accordingly. The first drive was done in August while the rains were still very much present here in Delhi , and the second barely 10 days ago. The update is an integration of observations across both drives. The first one took about 10 hours both directions and the second one was much faster , 8.5 hours one way and 7 coming back. The delay in the first was primary owing to encountering massive thunderstorms which reduced visibility and speed. Getting out of Delhi is smooth as butter now early in the morning , depending on the road and the area of Delhi one is leaving from , crossing the border can be done in 30-40 minutes now. 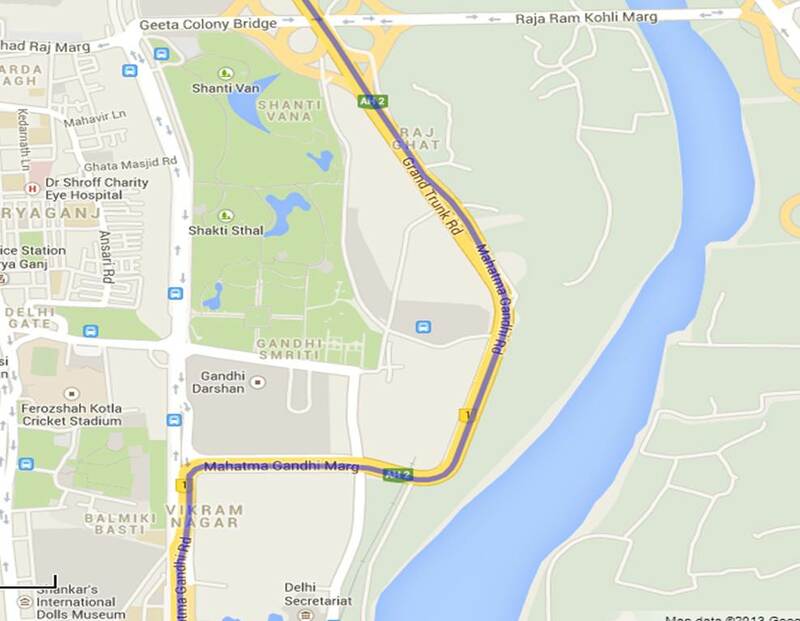 We now ofcourse have the ring road bypass or the Mahatma Gandhi road bypass which gets one out pretty much just short of ISBT. Signal free and reasonably good tarmac ensures that it takes all of 5 minutes to get to ISBT , which can be a mess depending on your luck. Post this till the Panipat toll there are not too many places where one can encounter a Jam. The entire stretch is in good condition , broad roads , good tarmac , not too many potholes . Traffic or rather traffic discipline is still as bad as its ever been. The Panipat bypass looses its sheen for me , while its still far far better than what it used to be , the number of trucks and heavy vehicles plying on it now means reduced speeds and enough overtaking required. To compound the problem , the trucks dont still to their lanes resulting in enough situations where speed drops down to a crawl owing to two trucks side by side with no space , only option is to wait till one of them moves ahead of the other. The Panipat toll is slow , i wish they would pick up a thing or two from the Delhi-Gurgaon toll operators and waiting time would drop drastically , there is a certain air of “laziness” which seems to prevail with everyone taking their own time to move on , give receipts and change. Fortunately the lines are still short enough , or atleast i have not encountered a long one , can take upto 10 minutes to pass the booth. After Panipat is where everything goes back to the good old days , the stretch till Ambala and a little beyond is pathetic . Part of the 6 laning of the road till Jalandhar, the entire stretch lies in shambles. I believe vendors have not been paid for a while and overtime all work has stopped completely. Hence there are quite a few diversions thanks to NHAI not finishing the work on the numerous flyovers which are in different stages of completion. At any point thus where one encounters a flyover there is a diversion which one must take , the diversions are narrow so traffic ends up moving mostly in a single file. Add rains to it and you will encounter standing water as well. Karnal is a mess and going through the town can take a good 30 minutes depending on traffic conditions. The main road does not exist anymore since it was dug up and hence we have arteries so to speak on either side which handles the traffic now. These are narrow again , can have lots of standing water , are broken as a result and do not be surprised to find yourself crawling. I try and go past Karnal before stopping for a break so i can get it over and out of the way. There are as always tons of options for food available with old favorites such as Jhilmil Dhaba still present and new ones such as The Savoy , Haveli. Just short of Jhilmil one also has Sagar Ratna now available. Simply too many to name , just slow down and pick anything which catches your eye! We still have a toll on this road too , and i dont understand why they take money. 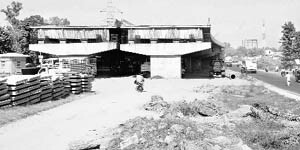 This is the old toll booth which has been around for donkeys years , what they have done is shifted it a few kilometers towards Ambal , earlier it was less than a kilometer away from Jhilmil. The fee is now 100/105 INR one way , so not cheap at all and given what you have just driven through and will be till post Ambala , i find it hard to justify its existence. Broken down , dirty looking booths with just flat out arrogant guys working in it. If the Panipat guys were maybe a little lazy , these guys definitely are. Long lines a good possibility. 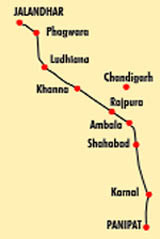 The Ambala Chandigarh expressway is simply fantastic in terms of the overall experience and you get to Zirakpur in no time. Just be careful of people crossing the expressway , even though there are guard rails ; as we know most people will not listen. Occasional cow might be around as well just in case you started to loose the ” i am in India” feeling 🙂 ! Zirakpur is crowded , anyone coming here after a gap of a few years is going to be overwhelmed by the construction which has taken place. Fancy residents and malls on either side of the road. When hitting Zirakpur remember to get on to the service lane and not the flyover. 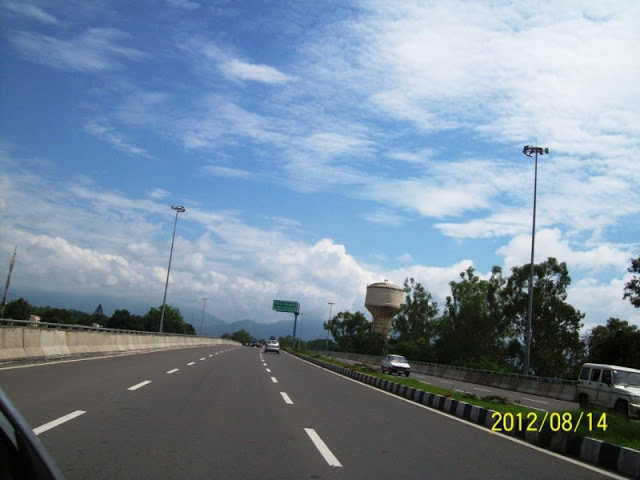 The flyover takes one into Chandigarh city , which earlier was not a problem because a U-Turn was possibly to come back , in fact it was a better option than taking the normal road to Shimla since there was no chance of getting stuck in a jam. Now however the U-Turn is not available and one has to drive a fair bit before being able to turn around. The right turn from the service road to get onto the Shimla road is busy and it can take 2-3 cycles to clear it depending on the traffic and the time of day that one is passing by. Post this it is a bit crowded for about a kilometer thanks to the hordes of people , buses , trucks standing and moving around but opens up fairly quickly. 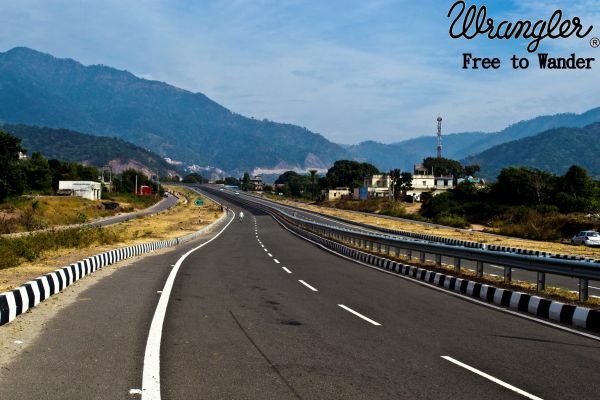 Now one is on the Zirakpur-Kalka-Panchkula highway which hits the newly opened Himalayan Expressway , or the point at which one can take a left to go towards Kalka / Parwanoo. There is a toll on this road as well , about 30 INR but does not take too long to cross. The entire stretch from Zirakpur to the start of the Expressway can be done in a comfortable 20-25 minutes , and then add another 10 -12 odd minutes to get to Timber Trail. What an achievement!! The old road which used to go through Kalka etc was stuff which nightmares was made off. Time saving is at-least 45-60 minutes if not more overall. Other than traffic from this point onwards the roads in good condition overall. The Barogh road is open posts the landslide for a while now and has new tarmac hence quite smooth , the Solan bypass has been fixed up as well and is an equally good option. Solan remains crowded as ever which cannot be avoided as do the other places one passes by such as Kandhaghat.